SRINAGAR: Five militants, three soldiers and two policemen have been killed in a gunfight that has been raging in Chek Fateh Khan forest area of Halmatpora, Kupwara, since Tuesday morning. The operation was suspended on Tuesday evening because of bad light and difficult terrain. It resumed on Wednesday morning. During the fresh exchange of fire today, two personnel of the police’s counterinsurgency wing, Special Operations Group, and two soldiers were killed. “Heavy exchange of firing again started today as one to two militants were hiding in bushes,” director general of police Shesh Paul Vaid told Greater Kashmir. The slain SOG men were identified as constable Deepak Thusu of Nagrota, Jammu, and Muhammad Yusuf Cheche of Kachama, Kupwara. The deceased soldiers are Muhammad Ashraf Rather and Naik Ranjeet Singh of 160 battalion Territorial Army. The identity of the third soldier could not be ascertained. 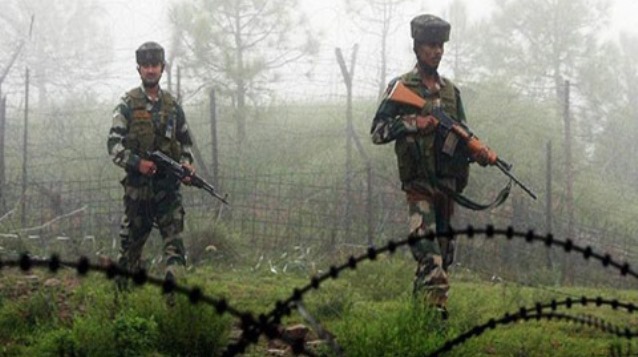 Kupwara senior superintendent of police Shamsher Hussain said the operation has been called off and all five bodies of militants have been retrieved. He said the militants likely belong to Lashkar-e-Toiba and their identities would be ascertained on Thursday. Last year, a group of 18 to 19 militants of Jaish had managed to come from Pir Panchal range in Jammu’s Poonch region to southern Kashmir. They carried out attacks on the forces installations in Kashmir. Apart from the police, a source said that army’s Territorial Army unit and soldiers from the Bihar Regiment were involved in the operation. Central Reserve Police Force troopers provided cover. “Heavy and light mortar shells, grenades, and thousands of bullets have been used so far in the operation against militants,” the source said.